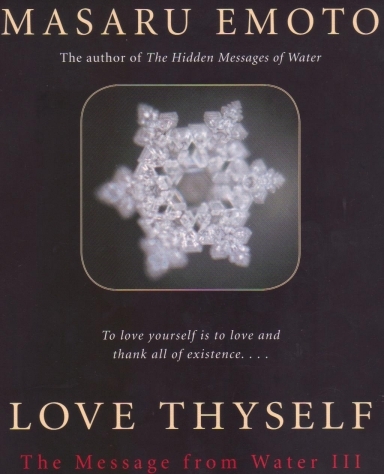 Dr Masaru Emoto, the best selling author of the series of book Messages From Water, has proven, by photographing the water crystals under the microscope, that both positive and negative thoughts and feelings affect water, the very basis of life (human body is 75% water too). Even the most polluted water, including by radiation, which forms only chaotic crystalline forms, gets changed by prayer, love and gratitude so as to form yet again the beautiful crystals. The Emoto Peace Project has been declared by Dr. Emoto when he was giving a seminar at The Spiritual Dimensions of Science and Consciousness Subcommittee at United Nation headquarter in NYC on May 25th, 2005 and it is a project which aims at educating the truth of water to children by distributing for free the children version of “Messages from Water” books. The goal of The Emoto Peace Project is to distribute 650 million copies of the book in 10 years and to translate them in as many languages as possible, in order to educate the children all around the world about their own mental and emotional, or attitudinal crucial impact on all life on Earth, in order to minimize the damage done to it and reverse that process. The Emoto Peace Project is made possible by donations and offers to translate the Messages from Water book for children into yet another language.